I fell in love with the beautiful crown of leaves so I decided to emboss her and colored with my Zig clean color brush markers. 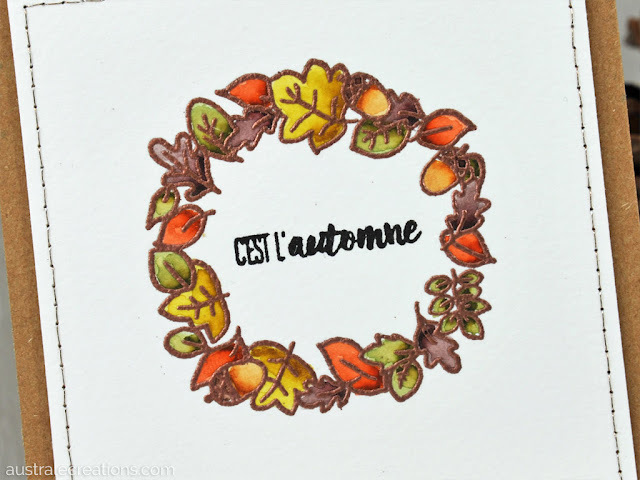 Hand-stitched border, sentiment in French means "it's autum". I just found your dies, stamps, & pic. I LOVE THEM!!!!! I will be ordering from you’ll. This is just what I’ve looking for!! 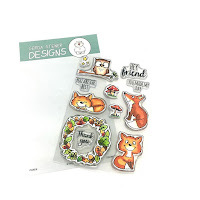 Thanks so much for WONDERFUL stamps & dies!! !